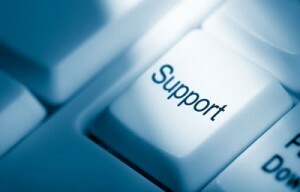 Our complete IT support service is designed to provide an entire IT department to work in conjunction with your business. This service provides all-encompassing and comprehensive professional IT support, removing your need to have an in-house IT department. We handle all IT related issues, improving productivity and efficiency and enabling you to concentrate on running your business. In today’s business climate, finding the right IT Support company can be a complicated task. The right solutions, technical expertise, and cost are all critical factors that must be examined when making the right decision. PCHOMEUK provides real and easy to understand business solutions to your everyday challenges. We know how frustrating computer problems can be for a business and we also understand how difficult it can sometimes be to find reliable computer and Mac experts that are easy to reach, and able to deliver fast, friendly, and efficient IT Support, so let PCHOME UK be your cost effective and reliable partner for all of your computer and networking needs. The cost is surprising lower than you think. Give us a try. Your initial consultation is FREE.